Arsenal manager Arsene Wenger has praised Manchester United for their capture of Henrikh Mkhitaryan, as he believes that the midfielder will bring a lot to Old Trafford. The French coach stated that the Armenian has always been a threat to his opposition, and now that he has added goals to his game, will be an exciting addition to the Premier League. 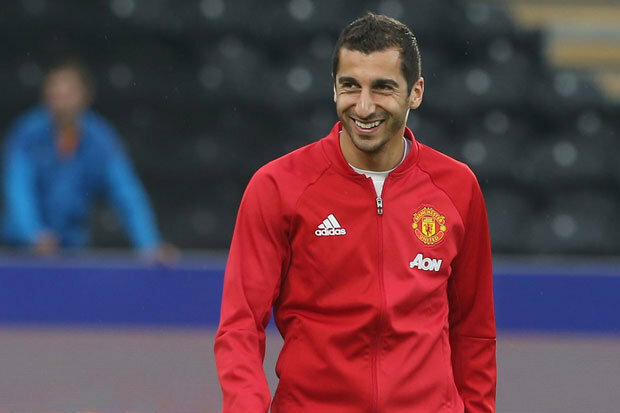 Mkhitaryan scored 23 times in 51 appearances for Dortmund last season, and despite not featuring heavily in Mourinho’s plans so far this campaign, will surely have a huge impact on the squad as they hunt down their 21st Premier League title. Wenger, who went close to spending £100m on new recruits this summer, told Arsenal’s official website: “[Mkhitaryan] has always been a very good midfielder but last year was the first year where he scored goals. “I think he scored 10 goals in the Bundesliga so that of course makes him more dangerous. Mkhitaryan picked up a knock in his country’s 3-0 loss to Czech Republic on Wednesday evening, and according to Sky, could be a doubt for the upcoming Manchester derby on September 10th because of it.